Dentalemployment.ca is a job search website for dentistry professionals. Employers publish job offers and can view the résumés of candidates who have submitted an application. For whos is Dentalemployment.ca intended? Dentalemployment.ca is intended for clinics, laboratories and other employers in the field of dentistry, as well as any professionals actively or passively looking for employment. More than 11,000 candidates and 2,100 employers are currently registered. As an employer, you publish job offers directly to a captive audience mainly composed of dentistry professionals in search of employment. As a candidate, you can find job offers that specifically target your area of expertise. You can submit an application with a few clicks from your account. What is an employer account used for? By registering, do I automatically have access to a bank of candidates? Not exactly. Dentalemployment.ca is a specialized job search site that enables dentistry professionals to find the job they are looking for. As with any job search site, you have access to the profiles of candidates who submit an application to your job offer. Clinics, laboratories and other dentistry businesses have a very targeted audience. By publishing on Dentalemployment.ca, your job offer gains high visibility among a captive audience mainly composed of dentistry professionals seeking employment. Dentalemployment.ca has more than 11,000 candidates across Québec, in addition to all the professionals, young talent and specialists who visit the website but do not have an account, or who are connected to our social network. Our rates are more affordable that those charged by personnel placement agencies, newspaper want ads or most other non-specialized job search sites. Can I create a new job offer based on a previous one? Yes, and doing so will save you a lot of time. First, log in to your account and select “Job offers” in the account menu. From the list of your job offers, click on the one that will serve as the basis for the new one. In the page containing the details of the job offer in question, click on “Create a new job offer based on this one” at the top of the page. Can I definitively close my account? Yes, you can. However, it is very important to remember that this action is irreversible. Once your account has been definitively closed, you lose all of the information concerning any jobs for which you may have applied (candidate account) and all of the information concerning your job offers, candidates and credit purchases (employer account). If you are unsatisfied with the services of Dentalemployment.ca, contact us without delay so that we can be of assistance and determine how we can meet your expectations. To close your account, you must first log in. Select “Account”in the account menu. Click on “Definitively close this account”. Note that for security reasons, you will be required to authorize this operation by email. Our goal is to enable to employers to find the candidates they are looking for. We offer a guarantee of satisfaction to ensure that you will come back to Dentalemployment.ca whenever you need to find the best candidates. We do not give refunds, but we do offer a free renewal period that allows you to publish your job offer for an additional 30 days, free of charge. If you are not satisfied with the results, this guarantee is available to you. Please note that certain rules apply. Can I indicate the contact information of my clinic in the description of my job offer? If the employer introduces the e-mail address or other contact information directly into a job advertisement, Emploidentaire.com * could remove this information. The Profile section allows you to enter your contact information. This information must be visible only when the candidate is logged into his account. Can I look for a job in more than one municipality? Yes. You can enter more than one municipality in your profile, if you want to expand your job prospects. To add municipalities to your profile, log in to your account, then click on “Profile” in the account menu. Under the section entitled “Municipality where employment is sought”, click on the “+”sign to add a second “Municipality” field. Repeat this process to add more cities. If the “I want to receive email notifications about new job offers” option is activated, you will automatically receive new job offers for all the municipalities you have selected. Can I modify a currently published job offer? Yes. Click on “Job offers” in the account menu. Select the job offer you wish to modify, then make the changes by clicking on the fields like when you create a job offer. Click on “Save” to apply the changes. Important: Please note that three fields can no longer be changed once an ad is published: Type of employment; Work schedule; and Workplace location. All other fields can be modified at any time and as often as required. The changes can be seen by the candidates as soon as they are saved. Don’t forget that you can save your job offer without publishing it. As long as it’s not published, you can modify all the fields (including Type of employment; Work schedule and Workplace location) as you wish. Take the time to make sure all the fields are filled out correctly before publishing a job offer. Can I publish more than one job offer at a time? Of course. There is no limit to the number of job offers that can be published simultaneously by a single advertiser. In fact, managing several job offers on Dentalemployment.ca is very easy. In the “Candidates” section of your employer account, the candidates are very clearly associated with each of the job offers you have published. You can sort the candidates and even decide to select them for an interview or reject their application. If your company has more than one workplace location, you can manage all your job offers from the same account, all with just a few clicks. Can I use several workplace locations? Yes, if your business has more than one clinic, service outlets or workplace locations, you can publish job offers for each of these locations. You must first add workplace locations to your “Corporate profile”. Log in to your account and click on “Corporate profile” in the account menu. Under your business’s main address, click on “+ Add a workplace location”. Once all your addresses have been entered, you can select the correct one every time you create a new job offer. Please note, however, that a single job offer cannot indicate more than one workplace location. You must select the actual workplace location for that job. Since Dentalemployment.ca has a policy of providing clear and relevant information to all users, it is important that job seekers know exactly where their future workplace will be located before submitting an application. Can you guarantee that I will find the right employee? No job search site can guarantee that an employer will find exactly the person they are looking for. The results greatly depend on the hiring criteria and the number of resources available in the targeted region when the job is offered. Some employers receive many applications, whereas others only receive a few. You can increase your likelihood of success with your company page, which allows you to highlight the benefits of working for your company. This is very likely to have an impact on the number applications you will receive. It is nevertheless important that you be satisfied. If you feel the results are unsatisfactory, find out about our renewal policy. Do you screen candidates on my behalf? Dentalemployment.ca is not a personnel placement agency that selects candidates for you. Thus, you are not limited to candidates selected by a third party. Dentalemployment.ca is a specialized job search site that enables dentistry professionals to find the job they are looking for. As an employer, you are the first to reap the benefits. You have access to a receptive audience mainly composed of dentistry professionals seeking employment. Dentalemployment.ca gives you access to more than 11,000 candidates across Québec, in addition to all the professionals, young talent and specialists who visit the website but do not have an account, or who are connected to our social network. In addition, Dentalemployment.ca allows you to create your own filters by choosing the most important criteria for every job offer you publish. In a matter of seconds, you can screen the candidates without having to look at their résumés. If you usually call on the services of a personnel placement agency, Dentalemployment.ca is a perfect complement, at a lower cost, that provides you with access to the highest possible number of candidates. You must first log in to your account. To change your profile, click on “ Profile” (“Corporate profile” in the employer account) in the left-hand menu. You can make changes by clicking directly in the text boxes. Don’t forget to save your changes before exiting the “Profile” page, or the changes will not be recorded. Please note that the fields (first name, last name, email, etc.) that appear in the account management section and reappear in your profile can only be changed in the “Account” section. How can I change the password to access my account? It’s very simple: log into your account and select “Account”in the account menu. Simply click in the “Password” field and change it. Confirm the new password by entering it a second time in the space provided and save the changes. How can I get candidates? You gain significant visibility among a captive audience mainly composed of dentistry professionals seeking employment. You send your job offer, by email, directly to all candidates who are seeking employment and meet your hiring criteria. Your job offer is relayed through an expanded social network and a bank of candidates with that includes more than 11,000 profiles. You gain access to a wide range of features that speed up the hiring process and make your life easier. How can I make my profile anonymous? There is no need to make your candidate profile and résumé anonymous, since they are not made public. Employers can only view your profile if you submit an application to their job offers. Once you submit an application, the employer automatically receives a notification that an application has been received. The employer can then view your profile and résumé, and even call you in for an interview. How can I view the job offer I have just published? To view a job offer you have just published, go back to the home page or click on “Find a job” in the menu. Since job offers are published by date of publication, from the most recent to the oldest, your ad will appear at the top of the list. How do I indicate that I am no longer available? Once you have found a job, you can notify employers to whom you have submitted applications that you are no longer available. Employers then receive an email informing them of your new situation. In addition, an “Unavailable” notification will be added to their list of candidates. To indicate that you are no longer available, go to the “Applications” page in your account, select the appropriate job offer and click on“ I have a job”. Remember: your account is not made public. In order for employers to view your profile and résumé, you are required to submit an application. How do I know if an employer has received my résumé? Dentalemployment.ca allows you to monitor the status of your applications. Here, you can see if your application has actually been sent, if the employer has viewed your profile, if you will be called in for an interview or if your application has been rejected. To view the status, log in to your candidate account and go to the “Applications” section. How do I know if I'm logged in? When you are not logged in, the options “Candidate login” and “Employer login”appear in the main menu at the top of the page. Once you have logged in, it is your name that appears there. How do I know if my application has actually been posted? When you create a candidate account, your application is not automatically posted for all potential employers to see. For employers to view your application and résumé, you must absolutely submit an application. Once your candidate profile has been created, applying for a job is very quick and simple. If you want to make sure you are seen by employers, make sure you properly complete your candidate profile and apply for jobs. And if you want to be sure to be among the first to receive new job offers, be sure to activate the “I want to receive email notifications about new job offers” option in the “Profile”section of your account. How do I know the website works? Dentalemployment.ca already has more than 11,000 registered candidates, and this number continues to grow. In addition, many professionals, young talent and specialists in the field of dentistry visit our website and social network without being registered. We all know about job market fluctuations. Based on the hiring criteria, the context and the time at which you publish a job offer, the possibility exists that you will not obtain the results you had hoped for, regardless of the job search site or personnel placement agency you do business with. Nevertheless, since customer satisfaction is a priority, we offer a guarantee in the form of a job offer renewal policy. How do I publish a job offer? 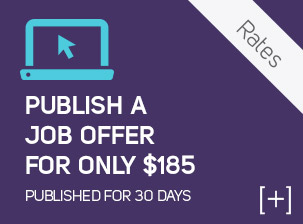 Click on “Publish a job offer” in the menu at the top of the page or in the right-hand column of the website. You will be required to log in, if you haven’t already done so, and if you do not have an account, you will be required to create one to publish an offer. Creating an account is easy and only takes a few minutes. Once you are logged in, click on “Create a job offer” in the account menu. Fill in the required fields and click on “Publish the job offer”. Once you have confirmed your request, your job offer will automatically be posted online on the job search page. Take the time to make sure all the fields have been correctly filled in before publishing your job offer. Please note, however that the Type of employment, Work schedule and Workplace location fields cannot be changed once the job offer has been published). If you don’t have time to complete your job offer, or you simply aren’t ready to publish it right away, you can save your job offer without it being published. First, you have to create an account. Then log in to your account, click on “Find a job”, then click on the job offer that interests you. From the job offer page in question, click on “Submit an application”. Once confirmed, your application is automatically sent by email to the employer, in addition to being added to the list of candidates on the employer’s Dentalemployment.ca account. Remember: You are required to complete your candidate profile before you can submit an application. You can then monitor the status of your applications. Here, you can see if your application has actually been sent, if the employer has viewed your profile, if you will be called in for an interview or if your application has been rejected. How do I view candidate profiles? To view the profiles and résumés of the candidates who have submitted an application to your job offer, you must first log in to your employer account. Then click on “Candidates” in the account menu. This is where you will find the list of candidates. Each candidate is specifically associated with the correct job offer. Click on a candidate’s name to view the details of that person’s application. In addition to their profile, candidates can attach their résumés. How long is a job offer posted? All job offers are posted for a 30-day period. Three days before the end of this period, you will receive an email notifying you that the posting period is ending soon. This email makes it possible to easily renew the job offer posting or confirm that you have filled the position. When you renew your publication, it will be processed as a new posting and will be once again placed at the top of the list of active job offers. It only costs $185. to publish a job offer for 30 days. You can lower the cost even more by purchasing job offer packages. Our rates are more affordable than those charged by placement agencies, newspaper want ads and most other non-specialized job search sites. The service, including all features, is completely free for candidates. It’s easy. When you click on “Candidate login” or “Employer login”, you can select “Forgotten password”. Enter your email address, click on “Confirm”, and follow the instructions to reset your password. Only credit card (Visa, MasterCard, American Express) payments are accepted. We use the “Paypal” payment system, which is widely recognized, simple to use and completely secure. >> I want to find out more about Paypal. Dentalemployment.ca accepts all major credit cards. You can pay by Visa, MasterCard and American Express. What do I have to do to no longer receive email notifications about new job offers? You can activate/deactivate the job offer email notification feature. Log in to your account and click on Profile”. Select the desired option using the “I want to receive email notifications about new job offers” or “I no longer wish to receive email notifications about new job offers” buttons. As for receiving promotional emails and dentistry news from Dentalemployment.ca, just click on “Account” to change your email settings. What happens to the list of candidates after the 30-day publication period? After the 30-day publication period, the job offer becomes “inactive”. The employer then has an additional 10-day period to view candidate profiles (submitted during the 30-day publication period). After that deadline, the job offer is deleted from the “Candidates” section of the employer’s account and the profiles can no longer be viewed. Employers who renew their job offers before the end of the 30-day publication period can view their lists of candidates for an additional 30-day period (in addition to a new 10-day period after this second 30-day publication period expires). What is a candidate account used for? 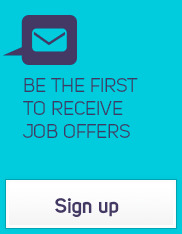 Receive dentistry-related job offers as soon as they are published. Who can view my profile and résumé? Only employers who have received your application. Your candidate profile and résumé are not made public. Employers can only view your profile if you submit an application to their job offers. Once you submit an application, the employer automatically receives a notification that an application has been received. The employer can then view your profile and résumé, and even call you in for an interview. Will I be charged a monthly fee? Employers pay only when they publish a job offer. They can pay a unit price (per publication) or purchase job offer package for future publication. This package (3 job offers) is specially priced for even more savings. The service, including all features, is free for candidates.